On 23rd September, 1740, under the provisions of Knatchbull's Act, the Llanddaf Vestry ordered that "every person who receives relief from the parish shall be lodged in the alms house till the same is full, upon pain of having their allowances withdrawn and for their Better accommodation the overseers are to putt the said house in good repair and cause a Bog house to be built there in the most convenient place." According to a 1777 parliamentary report, the parish of Cardiff—St John the Baptist and St Mary had workhouse for up to 200 inmates. It was located on the west side of St Mary Street, later the site of a branch of the National Provincial Bank, opposite the town gaol. A meeting of the Llantrisant parish Vestry on 5th December, 1783, resolved "that a Workhouse be established in or near the Town of Llantrissent for relief of the Poor of the said Parish of Llantrissent and setting the said Poor to work and so forth." The workhouse was set up in a row of four cottages at the west end of Swan Street. The following May, sisters Mary and Rachel Frances were appointed as superintendents of the workhouse at a salary of £10 a year. The able-bodied were required "to assist the Governess in keeping the Houses Clean makeing the Beds Brewing Bakeing & Boiling together with every other matter necessary to be done towards the health and Cleanliness of the said Poor & said Houses." In addition, "only married people" were "to be Lodged in the same room and a Partition to be made between Bed & Bed before they go to the poorhouse". 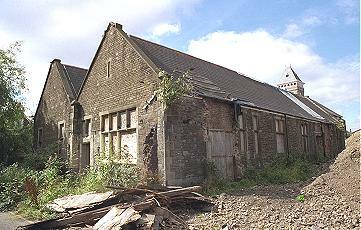 Llantrisant former parish workhouse, Swan Street. Large workhouse, which has in great measure relieved the parish from the payment of rents, but it is ill-managed, the children are half naked and dirty, while the diet was as the overseer admitted better than that of most of the small farmers of the Parish. Glamorgan: Barry, Bonvilston, Cadoxton juxta Barry, Caerau, Cardiff St John & St Mary (4), Cogan, Eglwysilan [until 1863](3), Lavernock, Leckwith, Lisvane, Lancarvan [Llancarvan], Llandaff (2), Llandough, Llanedarne [Llanedeyrn], Llanilltern, Llanishen, Llantrisant [until 1863] (2), Llantrithyd, Llantwit Fardre [Llantwitvadre, until 1863], Merthyrdovan [Merthyr Dyfan], Michaelstone-le-Pit [Michaelston-le-Pit], Michaelstone-super-Ely [Michaelston-super-Ely], Penarth, Pendoylan, Penmark, Pentrich [Pentyrch], Peterstone-super-Ely [Peterston-super-Ely], Porthkerry, Radyr, Roath, Rudry, St Andrews, St Bride super Ely, St Fagans, St George, St Lythans, St Nicholas, Sully, Vaen [Van], Wenvoe, Welch St Donatt's [Welsh St Donats], Whitchurch (2). 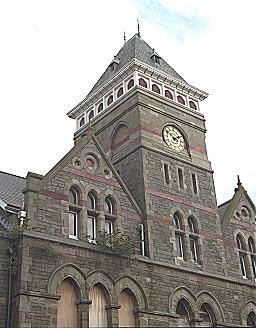 Later Additions: Highlight, Llanvedw (from 1895), Llanvithin, Rhydgwern (from 1895). The population falling within the union at the 1831 census had been 24,997 with parishes ranging in size from Cogan (population 22) to Cardiff St John & St Mary (6,187). The average annual poor-rate expenditure for the period 1832-35 had been £11,039 or 8s.10d. per head. A new workhouse was built in 1839 on the north side of Cowbridge Road, in the Canton district about a mile to the west of the city centre. The Poor Law Commissioners approved an expenditure of £5,500 on the work, although according to an 1866 Post Office Directory, the final cost was around £7,500. The original buildings, which accommodated 260 inmates, had a broadly cruciform arrangement with an entrance block at the south. An infirmary with 164 beds was added at the west of the workhouse in 1872. The original layout of the site is shown on the 1880 map below. Cardiff saw a rapid expansion in its population during the nineteenth century, rising from 1,870 in 1801 to 186,000 in 1901 - an increase of almost a hundredfold. Not surprisingly, the capacity of the 1839 workhouse soon proved inadequate. Numbers seeking relief were swelled during the years of the Irish famine (1845-50). One particular influx from Ireland occurred was reported by the Manchester Guardian in 1848. On Friday last more than 200 Irish paupers, men, women, and children, landed from Cork on Penarth beach, and instantly proceeded to demand relief at the Cardiff workhouse, thought same were possessed of a little money. Nearly all were lodged in the workhouse, but when they found that they were to be passed to Ireland several of the man scaled the walls, and deserted their wives and children. All of them have been sent to their own country by one of the Irish steamers; but their brief sojourn in Cardiff, and the expenses of their passage, ere said to have cost the union more than £200. The situation was eased in 1862 with the moving of the workhouse's child inmates to the Ely Industrial Schools. Eventually however, a major increase in accommodation was achieved by a major rebuild of main workhouse on the existing site. The architect of the new building Edwin Seward, of the local firm of James, Seward and Thomas. The construction contract, which cost £27,000, was awarded to Mr C. Burton of Cardiff. Building work began in October 1879 and finished ta the end of 1881. The updated layout of the site is shown on the 1901 map below. The new building had an imposing entrance block at the south with its central clock tower rising to a height of 72 feet. The overall frontage onto Cowbridge Road amounted to some 250 feet. The block contained a board room, committee room, attendants' offices, waiting rooms etc. Cardiff entrance block from the south-west, 2005. To the rear were placed three parallel blocks running north-south. A new wing was added in 1890 at a cost of £9,000. The workhouse also had 12 cottages in which elderly married couples could live together. By 1908, the total capacity of the workhouse was 1,020 inmates. Cardiff from the north-east, 2000. In 1873, the workhouse master, Mr Durke, was dismissed and prosecuted after it was discovered that he had misappropriated up to £100 of union funds, for example by selling a quantity of picked oakum for £15, which had then pocketed. Some unusual incidents occurred at Cardiff yesterday, on the occasion of the burial of Ah Pow, a Chinese seaman, who died from pneumonia soon after his admission to the Cardiff Workhouse on December 27. A dozen or more Orientals attended to witness the interment, which took place in the Nonconformist portion of the cemetery. It was not until the coffin had been deposited near the grave that one of the Chinese inquired about a minister. No arrangements had been made for the attendance of a minister, but eventually an undertaker's assistant was sent to the Rev. Caradoc Griffiths, who consented to come and conducted the ordinary burial service: It was not until this was over that the friends of the deceased showed any particular interest in the proceedings. A couple of the Chinese then brought to the graveside a large hamper, basins of rice, a bottle of whisky, a plate of sweets, a chicken, a piece of bacon, bundles of crinkled paper (on which were printed Chinese characters), and candles were produced. The whisky was poured on the coffin and the rice was thrown into the grave. While some were doing this others, behind the shelter of umbrellas, lighted the papers and candles, and a Chinaman gave utterance to what a correspondent calls "some weird incantation". All the remaining eatables were then thrown into the grave, in order to provide Ah Pow with sustenance on his journey to the next world, the fire being to light him on his way. 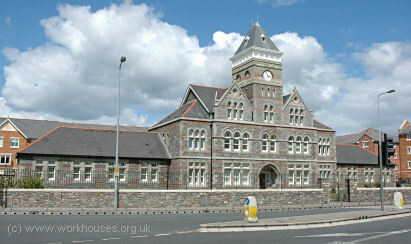 After 1930, control of the site passed to Cardiff City Council and the workhouse became City Lodge Public Assistance Institution. In 1948, it joined the newly formed National Health Service as St David's Hospital. 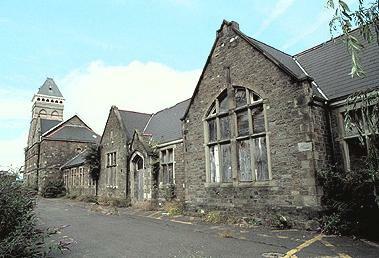 St David's finally closed in around 1995 and most of the buildings were demolished for redevelopment of the site. Only the front block with its impressive clock tower now remains, converted to residential use. From 1862 to 1903, the union operated an industrial school for pauper children at Ely, a mile and a half to the west of the Cowbridge Road workhouse. As well as basic education, the children were given training that would help make them employable in later life, For the girls this would include laundry work, housework and needlework, while the boys would learn trades such as carpentry, tailoring and shoemaking. By 1901, the buildings had been extended and a separate hospital block erected at the south-west of the site. Ely Schools site from the north-west, c.1905. The schools were closed in 1903 and the buildings converted and extended to provide additional workhouse accommodation for adults, primarily the aged and infirm and also mild "lunatics". 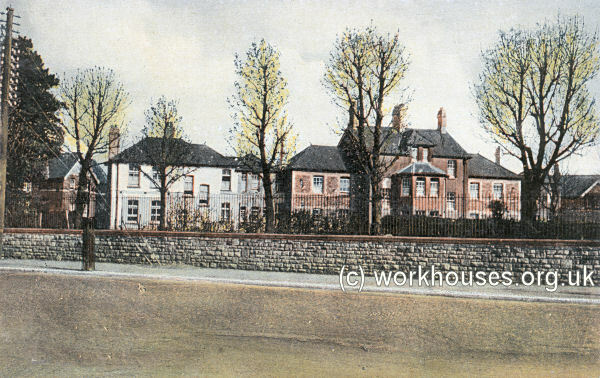 A row of children's cottage homes, known as the Ely Homes or the Headquarters Homes, was erected at the south of the site. After 1930, the Ely site became the Ely Lodge Public Assistance Institution. After 1948, as Ely Hospital, it was used for the accommodation of mental patients and as a hospice. The hospital closed in 1996. From the early 1900s, the Cardiff Union's pauper children were increasingly fostered out or placed in scattered homes around the city. The list of the homes' locations varied slightly over the years, but included properties in the Canton district (433-5 [now 485-487] and 449-51 [now 501-503] Cowbridge Road East, 119-121 King's Road, 11-15 Romilly Crescent, 34-35 Victoria Park Road East, 145-7 Clive Road, 2-4 Church Road), Grangetown (52-54 Taff Embankment), Roath (13-15 Northcote Street, 3-4 Church Terrace), Cathays (22 Woodville Road, 84-86 Whitchurch Road), Penarth (32 Windsor Terrace), Dinas Powis (Rydal Bank, Station Road), and Barry (15-16 Park Crescent). 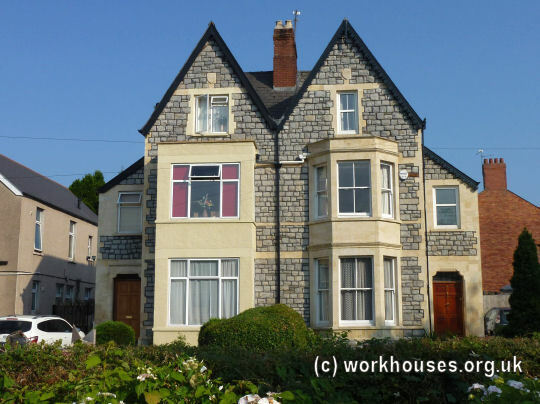 There was also a receiving home for new admissions to the homes at 103 Cowbridge Road [West], just next to the Ely workhouse site. Former Church Terrace scattered home, Cardiff, 2013. Former 449-501 Cowbridge Road scattered home, Cardiff, 2013. 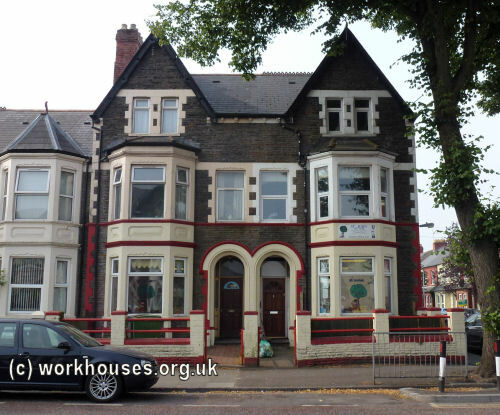 The Cardiff Union had offices at Queen's Chambers, Queen Street, and its "No.2 Relief District" offices were at 42 Penarth Road. The union also operated a casual ward at 12 King's Road, and dispensaries at Frederick Street (in 1895) and at 62 Charles Street (by 1920). Glamorgan Archives, Clos Parc Morgannwg, Leckwith, Cardiff CF11 8AW. Guardians' minute books (1836-1930). Ely holdings include: Master and Medical Superintendent's Journals (1906-58); Report books (1914-48); Visiting committee books (1938-69); Registers of lunatics and persons of unsound mind (1919-49; Creed registers (1914-40); Orders for detention of lunatics (1914-23); Deaths and discharges (1930-47). Adams, Edna (1993) Indoor and Outdoor Relief for the Poor in Cardiff, 1926-1936. Unpublished thesis for Diploma in Local History. Stewart, J & King, S (2004) Death in Llantrisant: Henry Williams and the New Poor Law in Wales in Rural History (2004) 15, 1, 69-87.